A new survey sponsored by OverDrive, a leading distributor of e- and audio books, along with the American Library Association’s Office for Information Technology Policy (OITP), provides numbers that back up what many people may have already suspected: libraries play a key role in readers’ book-buying decisions. 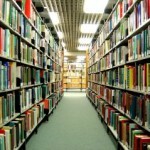 Conducted this summer at thousands of OverDrive powered public library websites throughout the United States, the poll found that library users purchase an average of 3.2 books (both print and e-books) each month, and a majority would consider purchasing books discovered on a library website. With more than 75,000 respondents, the survey is the largest study of library e-book usage done to date. 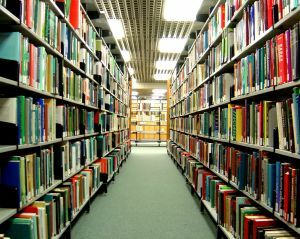 And, the findings are similar to those of earlier studies, such as the Pew Internet Project’s “Libraries, Patrons, and E-Books,” revealing that a significant percentage of library users regularly purchase books that they first discover at their public library. In the OverDrive-ALA survey, 57% of respondents said that public library is their primary source of book discovery. Patrons’ digital book purchases have increased 44% over the last six months. 35% of respondents have purchased a book (print or e-book) after borrowing that title.